A community farewell tribute in honor of Consul General Harry Horinouchi and Madame Sabine Horinouchi will be held on Friday, July 8, at the Westin Bonaventure Hotel & Suites, 404 S. Figueroa St. in Los Angeles. Reception at 6 p.m.; dinner at 7 p.m.
Consul General Horinouchi has received a new assignment and will soon be returning to Japan. This event is an opportunity to show appreciation for all that the Horinouchis have done for the community and to extend best wishes to the consul general on his new assignment. Admission is $68 per person, which includes a farewell gift. 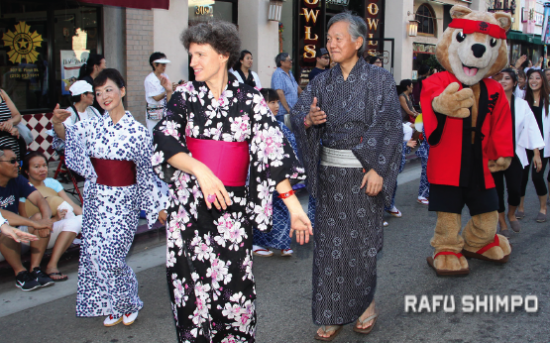 RSVP to the Japan America Society of Southern California, (310) 965-9050, ext. 104 or online at http://FarewellTributeCGHorinouchi.eventbrite.com. Handling fee of $4.39 per ticket will apply for credit card payments. Online registration will end on Wednesday, July 6, at 5 p.m.